The U.S. Food and Drug Administration (FDA) has given its approval to Dova Pharmaceuticals’s Doptelet (avatrombopag), a thrombopoietin (TPO) receptor agonist, for the treatment of thrombocytopenia in adults with chronic liver disease (CLD) who are to undergo a planned dental or medical procedure. 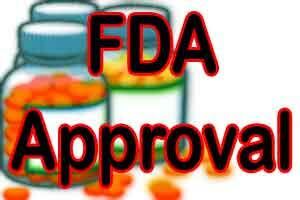 This is the first drug approved in the U.S. for the indication. Platelets (thrombocytes) are colorless cells produced in the bone marrow that help in the formation of blood clots and prevent bleeding. Thrombocytopenia is a condition characterized by the lower-than-normal number of circulating blood platelets. Such patients are susceptible to serious or life-threatening bleeding, especially during invasive procedures. Patients with significant thrombocytopenia typically receive platelet transfusions immediately prior to a procedure to increase the platelet count. The safety and efficacy of Doptelet was studied in two trials (ADAPT-1 and ADAPT-2) involving 435 patients with chronic liver disease and severe thrombocytopenia who were scheduled to undergo a procedure that would typically require platelet transfusion. The trials investigated two dose levels of Doptelet administered orally over five days as compared to placebo (no treatment). The trial results showed that for both dose levels of Doptelet, a higher proportion of patients had increased platelet counts and did not require platelet transfusion or any rescue therapy on the day of the procedure and up to seven days following the procedure as compared to those treated with placebo. The most common side effects of the drug experienced by participants of the clinical trial include stomach pain, fever, headache, nausea, fatigue, and swelling in the hands or feet (edema). People with chronic liver disease and people with certain blood clotting conditions may have an increased risk of developing blood clots when taking Doptelet.